Use these creative ideas to help transform your backyard into a fun entertainment space to enjoy for years to come! A backyard is full of endless possibilities! 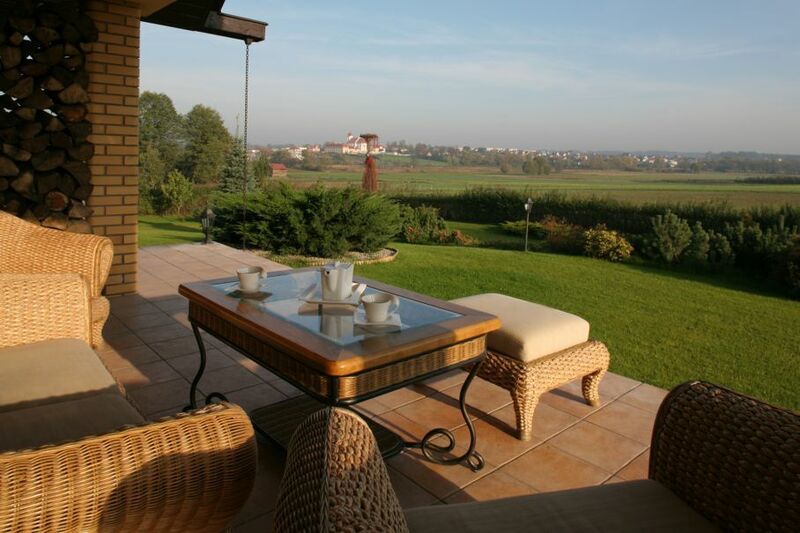 Games, barbecues, or a book as you sunbathe are all fun activities fostered from the backyard. If you want something more unique, delve a little deeper. A trampoline is a fun, energetic investment. Building a seesaw is less complicated than it sounds. And a pool can give your family years of summer fun. 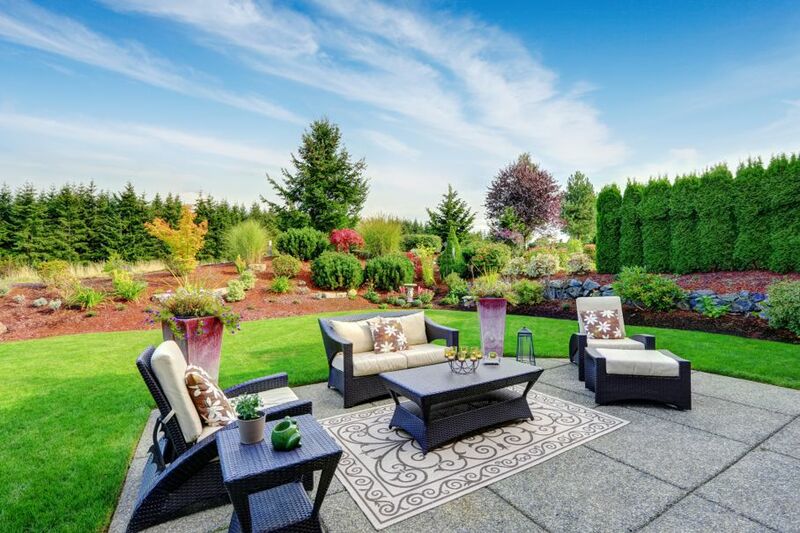 Think outside the box to make your backyard an unparalleled success! Switch up your perspective! 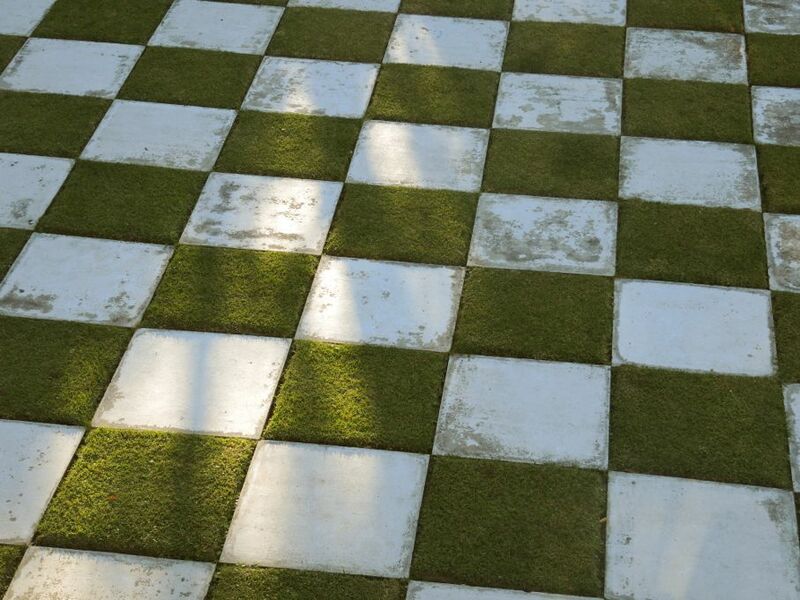 Try your hand at crafting a life-sized chessboard. 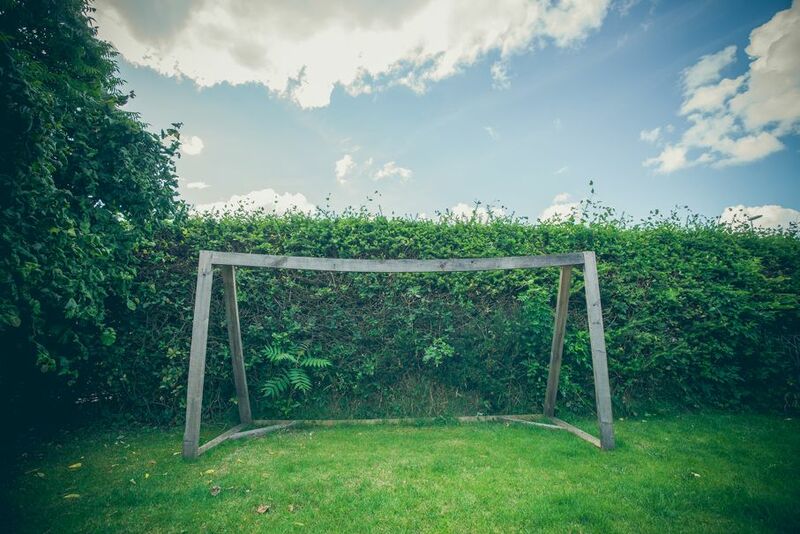 If you have the time and means, use wooden frames to alternate squares of grass with connecting squares of concrete or decorative stones. Mowing a chessboard pattern in the grass is an easier alternative. For pieces, many home improvement stores offer wood, resin, and plastic options which you can leave as they are, or make into distinct chess pieces. If you prefer a construction challenge, build a giant Jenga set out of 2x4s. A simple trip to the lumberyard and a few screws are all you need. Paint your pieces for some extra color. Traditional games are a cheap backyard activity goldmine. If big board games aren't your thing, give these simple options a try. Add a twist to tug-of-war by having the players stand on wooden stumps or milk crates. Number a few buckets and lay out a customized beanbag toss. Homemade games are easy to create and fit in any size yard. Embrace the Olympic spirit and go for gold! 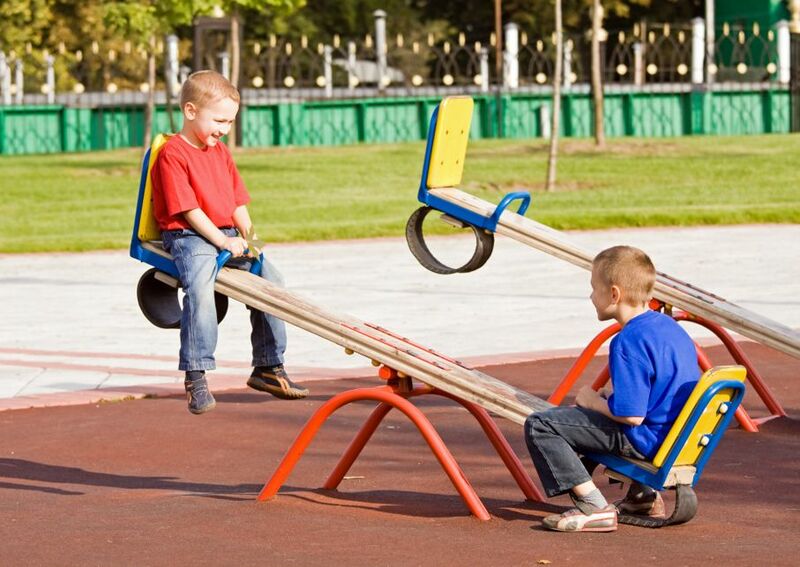 You can surprise your children with a backyard seesaw for under $30. All you need are a few boards and screws. Glue fabric prints onto the seats for a playful cushion. A nice bench or outdoor futon nearby will give the parents a nice place to sit while the kids play. 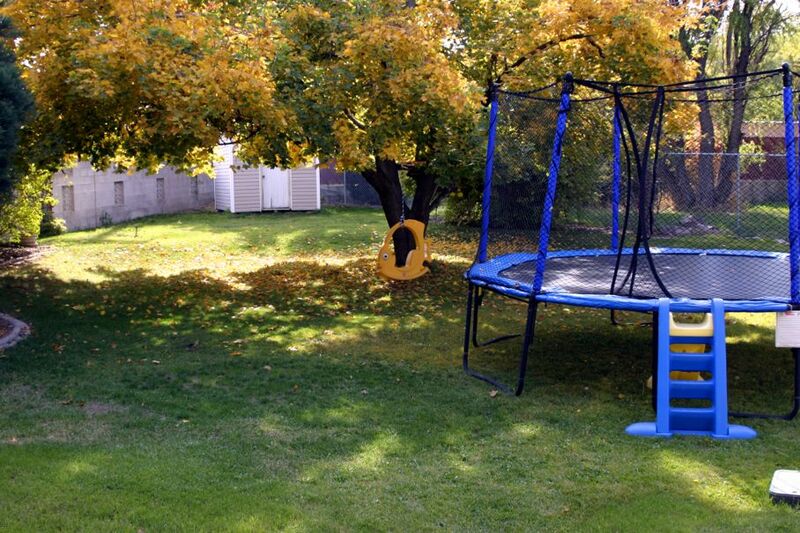 A trampoline is a great way to use up energy while having fun. People of all ages can laugh and play around a backyard trampoline. Surround the area with a net or padding to guard against injuries. To create a lounge, use pillows and soft couches for your padding. If you like to entertain, enhance your yard or deck with lounge furniture. Wooden stools, cushioned benches, and a minibar will add a fun social vibe to your backyard. Use your party deck as a space to host movie nights after the sun goes down. The right flat-screen TV and fairy lights will provide just enough light to see your drinks and still gaze at the stars. A few simple additions can make your backyard a child’s paradise. Build a small 3D house, mow some hopscotch steps, or tie up a hammock. 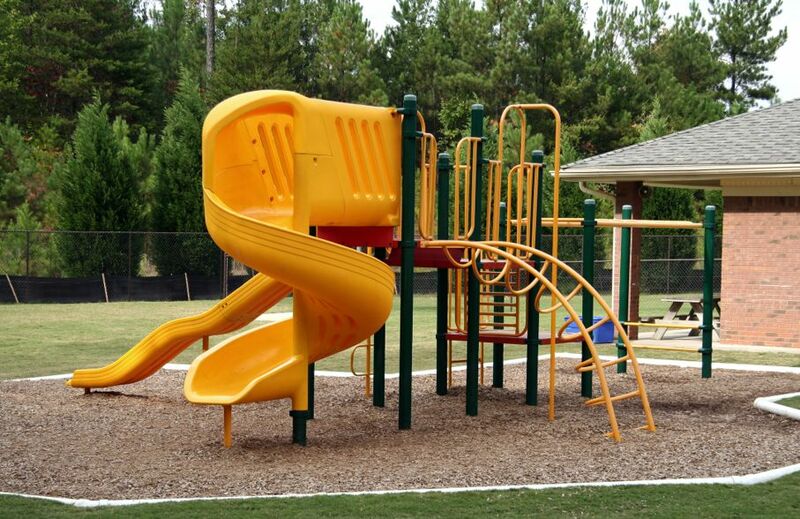 If you have space, invest in a slide or full-fledged climbing equipment. Want a bigger screen than your deck can hold? Mount a projector to screen movies against the side of your garage. 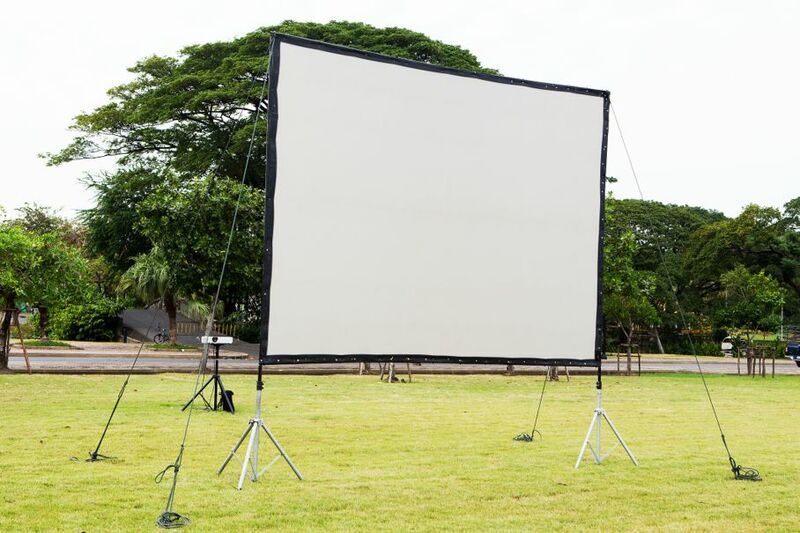 If you have space, use the backyard and buy a scrim for the film to be projected on. Beanbags or an outdoor couch will flesh out your personal outdoor man cave. 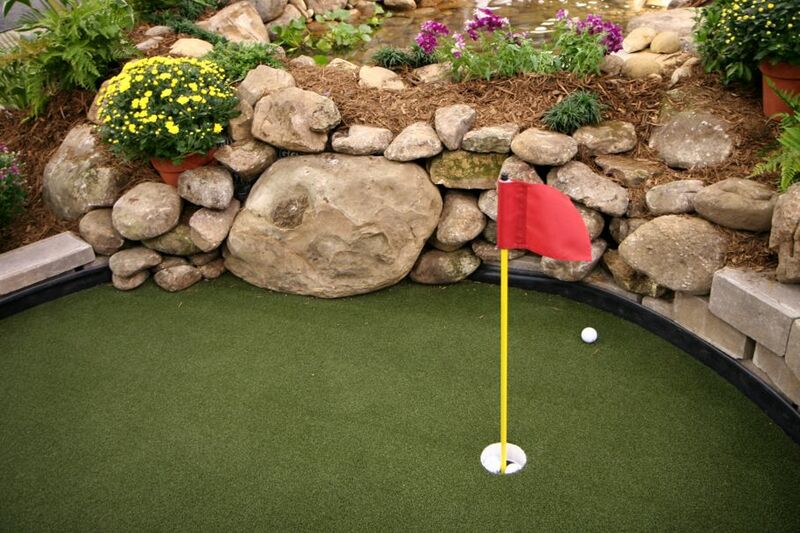 Challenge each other to some accuracy bets and set up a small putting green in your backyard. You can purchase a medium-sized green from Lowes for $99. Plant those flags and let the games begin. This idea will put your creativity to the test. Anything is fair game when setting up a backyard obstacle course! Traffic cones, buckets, ropes, foam noodles, ladders, tire swings, hula-hoops. The list goes on. If you need a bit more guidance to get you started, check out these fun ideas! Each of these ideas is quite specific. If you have a large family, you may need to incorporate more than one idea into your backyard makeover. A refined patio lounge and backyard obstacle course will keep parents, teens, and kids all entertained. Your backyard is what you make of it. Use these ideas to stretch yours to its full potential. You proceed at your own risk if you attempt to replicate any activities described here.